Around round of premium hikes brewing: blame Trump or Obama? 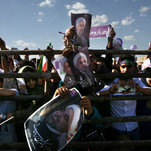 Voters choose Friday between candidates with conflicting visionsPresident Hassan Rouhani, who has made an opening to the West, and a political newcomer wary of where such a path leads. 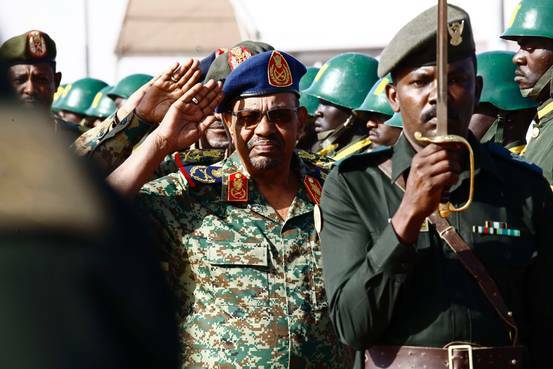 Sudanese President Omar al-Bashir, wanted by the International Criminal Court on charges of genocide and other war crimes, will participate in a summit of Muslim leaders in Saudi Arabia that is to be attended by President Trump. The U.S. said it objects. The latest controversies rocking the White House have not seemed to stir Republican leaders to any new level of urgency. 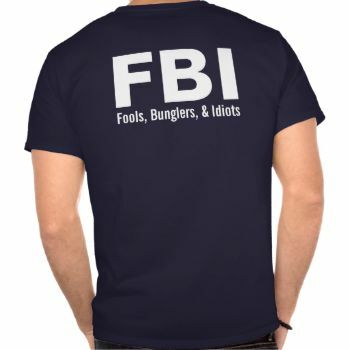 James B. Comey, then the F.B.I. director, and Adm. Michael S. Rogers, the head of the National Security Agency, testified before the House Intelligence Committee in March. 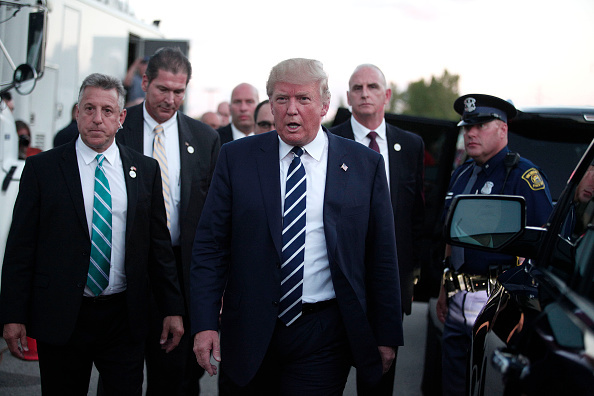 NEW LONDON, Conn. (AP) — President Donald Trump lashed out Wednesday at his &quot;critics and naysayers&quot; following more than a week of negative news coverage beginning with his sudden decision to fire James Comey as FBI director…. 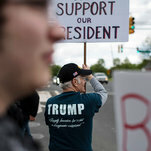 On conservative media, President Trumps supporters have used unfounded allegations, diversions and conspiracies to keep his troops behind him. President Donald Trump attacks his critics during a commencement speech, protesters in Washington battle supporters of the Turkish president and Lady Gaga has a new single.International Edition delivers insight into world news through eye-witnesses, correspondent reports and analysis from experts and news makers. We also keep you in touch with social media, science and entertainment trends. 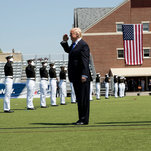 WASHINGTON On a brief escape from the political firestorm brewing in Washington, President Trump protested the media coverage of his four-month-old administration in a commencement address Wednesday at the United States Coast Guard Academy. BRUSSELS (Reuters) – U.S. and European Union officials will meet next week in Washington D.C. to further discuss risks to air travel and solutions for protecting passengers, the European Commission said on Wednesday after the two sides met in Brussels. SANTA ANA, Calif. (AP) — The number of people arrested by immigration agents in the early months of the Trump administration increased dramatically and is up nearly 40 percent compared to last year…. Delivering the commencement address to Coast Guard cadets on Wednesday, Mr. Trump said that no politician in history had been treated worse. 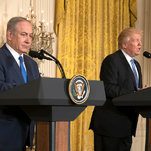 When President Trump was elected, the Israeli prime minister said his country had no greater friend, but the relationship has since become much more complicated. 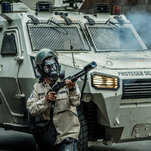 Police officers in Caracas say they feel caught between a government they no longer believe in and a protest movement that has labeled them the enemy. President Donald Trump attacks his critics during a commencement speech, protesters in Washington battle supporters of the Turkish president and Lady Gaga has a new single. The operative word here is “corruptly.” It means “an improper purpose,” or one that is “evil” or “wicked.” There is no precise formula for defining it; those involved in the administration of justice must continually wrestle with its interpretation. Here, the evidence strongly suggests that the president acted corruptly. 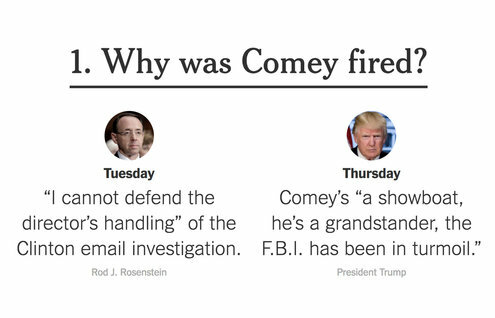 That starts with the demand for loyalty from Mr. Comey, the account of which the White House disputes. That demand can reasonably be understood to mean that Mr. Comey should protect Trump and follow his bidding, rather than honoring his oath to follow the evidence. It is also an implicit threat: Be loyal, or you will be fired. When Mr. Comey did not seem to take the hint, Mr. Trump made his meaning crystal-clear on Feb. 14: Let the investigation go, and let Mr. Flynn go, too. The president denies this as well, of course, as he has denied so much else that has proven to be true. 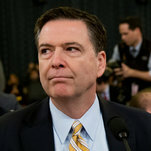 Who are we to believe: Mr. Comey, who would have no reason to accuse the president of obstruction of justice, and who has apparently preserved meticulous notes of his conversations? Or the president, who fact-checkers have demonstrated has told more lies in less time than any other modern occupant of the Oval Office? 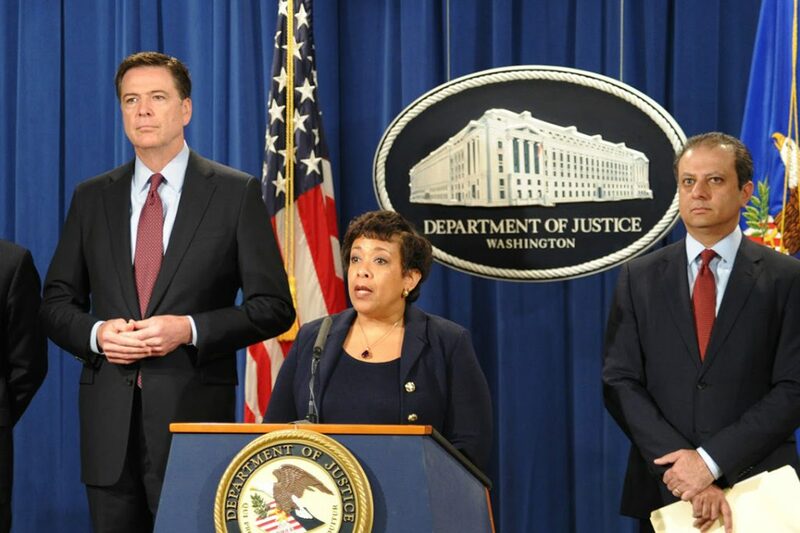 While Mr. Trump might have been within his rights to fire Mr. Comey, this pattern of demands to protect himself and Mr. Flynn, followed by retaliation when the demands were not met, if proven, is a textbook case of wrongful conduct. Add to this the fact that Mr. Flynn was already offering testimony about the Russia connection in exchange for immunity from prosecution, and Mr. Trump’s clumsy attempt to dissemble the cause of the firing, and it is clear that a cover-up was afoot. Finally, Mr. Trump topped things off with his tweeted threat to Mr. Comey; witness intimidation is both obstruction of justice in itself, and a free-standing statutory offense. Taken together, this evidence is already more than sufficient to make out a prima facie case of obstruction of justice — and there are likely many more shoes to drop. Mr. Comey reportedly took notes on all of his encounters with the president. If what has emerged so far is any indication, this is unlikely to offer much comfort to Mr. Trump. And there remains the core question of the president’s motives. 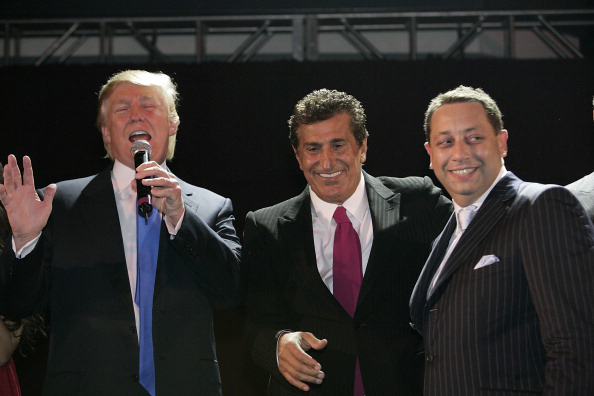 Is he withholding his taxes because they show evidence of “a lot of money pouring in from Russia,” as his son once stated, or do they show no such thing, as his lawyers claim? Why is Mr. Trump so fervently protecting Mr. Flynn: out of loyalty to a friend, or because Mr. Trump fears what that friend would say if he received immunity? We have previously called for Congress to set up an independent 9/11-style commission on the Russia and Flynn investigations, and for the Department of Justice to appoint a special prosecutor. This appointment is necessary because Congress can’t actually prosecute anyone who may have committed crimes, including obstruction of justice, in connection with the Trump-Russia matter. This week’s revelations about the president, the most powerful man in the country, emphasize the need for these independent structures to be erected and to encompass these new allegations. 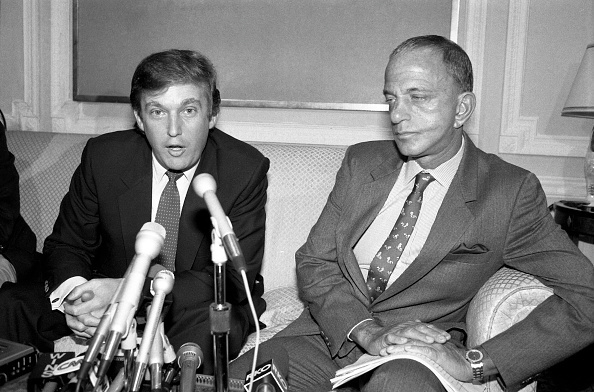 At least for now, we need not address the question, fully briefed to the Supreme Court during Watergate, but never resolved, of whether a special prosecutor could indict the president; as with Nixon, the question may again be obviated by other events, like the House initiating impeachment proceedings and the president resigning. In the meantime, the House and Senate must continue their existing investigations and expand them, with the Judiciary Committees of both bodies immediately beginning hearings into the president’s abuse of power. Congress must be prepared to follow the evidence wherever it may lead. Mr. Chaffetz’s letter, sent to the acting F.B.I. director, Andrew G. McCabe, set a May 24 deadline for the internal documents to be delivered to the House committee. The congressman, a Republican, was criticized in recent months for showing little of the appetite he demonstrated in pursuing Hillary Clinton to pursue investigations into Mr. Trump’s associates. But since announcing in April that he will not seek re-election in 2018, Mr. Chaffetz has shown more interest in the Russia investigation, and held out the potential for a subpoena on Tuesday, a notably aggressive move as most Republicans have tried to stay out of the fray. In testimony to the Senate last week, Mr. McCabe said, “There has been no effort to impede our investigation to date.” Mr. McCabe was referring to the broad investigation into possible collusion between Russia and the Trump campaign. The investigation into Mr. Flynn is separate. Despite the conversation between Mr. Trump and Mr. Comey, the investigation of Mr. Flynn has proceeded. In Virginia, a federal grand jury has issued subpoenas in recent weeks for records related to Mr. Flynn. Part of the Flynn investigation is centered on his financial links to Russia and Turkey. The Oval Office meeting occurred a little over two weeks after Mr. Trump summoned Mr. Comey to the White House for a lengthy, one-on-one dinner at the residence. At that dinner, on Jan. 27, Mr. Trump asked Mr. Comey at least two times for a pledge of loyalty — which Mr. Comey declined, according to one of Mr. Comey’s associates. The Jan. 27 dinner came a day after White House officials learned that Mr. Flynn had been interviewed by F.B.I. agents about his phone calls with the Russian ambassador, Sergey I. Kislyak. On Jan. 26, the acting attorney general, Sally Q. Yates, told the White House counsel about the interview, and said Mr. Flynn could be subject to blackmail by the Russians because they knew he had lied about the content of the calls. Four days ago, President Trump threatened former FBI director James B. Comey. He dangled the prospect that there were tapes of their conversations, suggesting he might use them if Comey leaked information to the press. It turns out Comey has his own records of those conversations. And that should make Trump very worried. The Washington Post has confirmed the existence of contemporaneous notes from February in which Comey wrote that Trump had asked him to close the investigation into Trump’s former national security adviser, Michael Flynn, and instead focus more on leaks to reporters. The White House is denying the account. “I hope you can let this go,’’ Trump said, according to the Comey notes, which were described by associates. Comey’s written account of the meeting is two pages long and highly detailed, the associates said. The details of Comey’s notes of the meeting were first reported by the New York Times. Officials have previously said that Trump and his senior staff have been pressing the FBI to prioritize leak investigations over the bureau’s ongoing probe into possible coordination between Russian officials and Trump associates. On Tuesday, people close to the matter said Comey kept detailed notes of his multiple conversations with Trump. That last sentence should strike fear into the White House. This one story is significant enough and will lead to more allegations of Trump obstructing justice. Those allegations are already very much in the news thanks to Trump firing Comey — the man leading an investigation into his campaign’s alleged ties to Russia — last week. But the possible existence of a trove of Comey memos may be the real story here. Comey is known to be a pretty meticulous keeper of notes, and CNN’s Jake Tapper just reported that Comey kept extensive notes of his conversations with Trump for the precise reason that they made him uneasy — presumably because of Trump making requests such as the Flynn one that crossed a line for Comey. And the reason Trump tweeted what he did about Comey four days ago is because the New York Times had just reported Trump sought a loyalty pledge from Comey at a dinner shortly after Trump’s inauguration. It’s difficult not to presume that Comey has notes about this meeting, too. As the New York Times notes, these memos “are widely held up in court as credible evidence of conversations.” The Times pointed to that famous incident back during the George W. Bush administration when Comey testified that there had been a race to reach the bedside of an ill Attorney General John Ashcroft as the FBI and senior White House officials fought over warrantless wiretapping. When the White House disputed Comey’s version, then-FBI Director Robert Mueller’s contemporaneous notes were used as confirmation. Rep. Adam B. Schiff (Calif.), the top Democrat on the House Intelligence Committee, is already calling for Comey’s notes to be subpoenaed. If they do see the light of day, we could have a whole lot of stories like the one about the loyalty pledge and Trump asking Comey to shut down the Flynn investigation. Update: And Rep. Jason Chaffetz (Utah), the Republican chairman of the House Oversight Committee, is also talking about subpoenas. The reason we’ve learned about the Flynn memo appears to be because Comey shared it with others who are providing its details to the news media now. Perhaps other memos weren’t shared with others, or not with people who would leak their details to the press. And if those other memos do come to light and show similar exchanges with Trump, that’s going to be very difficult for the White House to combat in the court of public opinion. That’s because the notes will have been written before Trump fired Comey, and before Comey had an ax to grind. At that point, the White House would basically have to argue that Comey created a fictitious paper trail without a clear motivation. There are a lot of ifs and assumptions in the above. We don’t know how extensive Comey’s notes are, how many of these situations there may have been with Trump or what will come to light. But the prospect of those memos seeing the light of day has to be frightening for a White House that is already taking on water. And for a president who issued a pretty outlandish threat last week, it’s a remarkable turn of events. Congressional Republicans are increasing pressure on the Trump administration to produce documents related to the latest string of controversies involving President Trump, amid flagging confidence in the White House and a growing sense that scandal is overtaking the presidency. As the White House sought to contain the damage from two major scandals, leaders of the Senate Intelligence Committee asked the FBI for documents related to former Director James B. Comey, who was leading an investigation into Russian interference in the 2016 election before Trump fired him last week. The panel’s chairman and ranking Democrat asked the FBI to hand over Comey’s notes about his communications with White House and senior Justice Department officials related to the Russia investigation. In a separate letter, they also asked Comey to testify before the committee in both open and closed sessions. The requests came after news reports revealed Trump’s disclosure of highly classified material to Russian officials and an alleged attempt to shut down an investigation into his former national security adviser, Michael Flynn. On Wednesday, some members of the GOP began predicting that the party will rally behind some sort of independent investigative body to probe the two issues. Rep. Charlie Dent (R-Pa.), co-chairman of the moderate Tuesday Group, said Wednesday that the collective political fallout from the past week “will make it difficult” for Republicans to resist a change in approach. Dent said he does not like investigations by independent prosecutors because they “tend to take on a life of their own” and instead preferred an independent commission of outside experts. “We may have to move in that direction,” Dent said Wednesday at a forum moderated by Center Forward, a moderate Democratic organization. The collision of the two stories Tuesday night left Republicans reeling, with a senior GOP senator comparing the situation to Watergate, and Speaker Paul D. Ryan (R-Wis.) directing the House Committee on Oversight and Government Reform to immediately seek records from the FBI. Ryan was careful to strike an evenhanded tone Wednesday, saying congressional committees would continue to conduct oversight “regardless of what party is in the White House” but seeming to dismiss some concerns that arose in the wake of news about a memo by Comey suggesting that Trump had pressured him to drop the Flynn investigation. “There’s clearly a lot of politics being played here,” Ryan said. He noted FBI acting director Andrew McCabe’s recent comment that there has been “no effort to impede our investigation.” McCabe made the remark in a congressional hearing when asked whether the firing Comey had affected the bureau’s work. Ryan also sounded a skeptical note about Comey’s actions following the meeting in which Trump asked him to “let this go,” referring to the Flynn probe. “If this happened as he described, why didn’t [Comey] take action at the time?” Ryan said. Senate Majority Leader Mitch McConnell (R-Ky.) has not directly commented on allegations that Trump tried to pressure Comey. He did not mention the president or the controversies facing the White House during his morning remarks on the Senate floor and ignored questions from congressional reporters in the halls of the Capitol. As they pleaded for more information from the White House, lawmakers from both parties rejected Russian President Vladi­mir Putin’s unusual offer Wednesday morning to provide a record of the meeting in the Oval Office in which Trump shared classified information. “The idea that we would accept any evidence from President Putin is absurd,” Sen. Susan Collins (R-Maine) said in an interview with CNN. 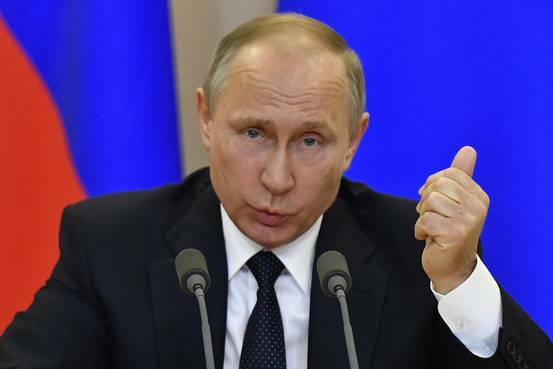 “I don’t talk to murderous dictators like Vladimir Putin, so Putin’s word to me doesn’t mean a whole lot,” Rep. Adam Kinzinger (R-Ill.), a member of Republican leadership, told the same network. The chairman of the House Oversight Committee had asked the FBI to produce records of communications between Trump and Comey. The request came after reports disclosed the existence of a memo in which Comey described his meeting with Trump. Concerns are clearly growing among Republican lawmakers. On Tuesday night, Sen. John McCain (R-Ariz.) compared the current situation to the Watergate scandal while speaking at an International Republican Institute dinner. 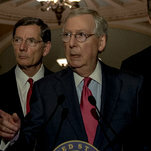 Other Republican senators, while saying they need to review documents before making a final judgment, voiced growing doubts about Trump. Sen. Patrick J. Toomey (R-Pa.) is now calling for a Democrat to replace Comey as head of the FBI. Toomey believes “changes are needed at the White House,” spokesman Steve Kelly told The Post in an email Wednesday. And one of two House Republicans to endorse an independent investigation of the Comey matter said that if the details reported this week are true, it could be grounds for impeaching Trump. “Yes,” replied Rep. Justin Amash (Mich.), a member of the Oversight Committee, when posed the question by a reporter. The White House has been largely silent since the New York Times first reported Trump’s effort to end the Flynn investigation by pressuring Comey. 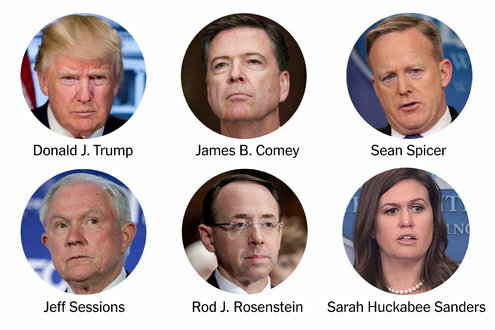 Trump aides have not directly commented on the story and were absent from television shows starting Tuesday night, a notable difference from last week when they blanketed the networks to defend Comey’s firing. Before the Times story broke, Trump aides had sought to tamp down the controversy over Trump sharing classified information with Russian officials. National security adviser H.R. McMaster called the action “wholly appropriate” to the conversation that took place in the Oval Office. Both Republicans and Democrats have called on Trump, who has suggested that he records his conversations, to provide a transcript of the meeting to congressional intelligence committees so they can assess what took place. White House aides have neither confirmed nor denied the possibility that Trump keeps tapes of his meetings. Democrats blasted House Republicans Wednesday for doing little so far to probe Trump’s potential ties to Russia. “They do as little as humanly possible just to claim that they’re doing something,” said Rep. Elijah Cummings (Md. ), the ranking Democrat on the Oversight Committee. “Our committee should already be conducting robust and transparent investigations,” said Cummings, who joined 32 other Democrats Tuesday night in calling for his panel to partner with the Judiciary Committee on a new probe of Trump’s White House. “Speaker Ryan has shown he has zero — zero, zero — appetite,” he said. Democrats’ priority is advancing a bill from Rep. Eric Swalwell (D-Calif.) creating a bipartisan congressional commission to investigate Russia’s cyber intrusions, how the intelligence community handled the matter and the president’s potential involvement. The Democrats are hoping to file a discharge petition — which requires the signatures of a majority of all House members — to compel GOP leaders to schedule a vote on the proposal. But they could have trouble gathering enough support: as of Wednesday, The Washington Post found only five GOP senators and 10 House Republicans open to an independent investigation. While several Democrats have called for Trump to be impeached over the Comey firing, the party’s leaders reiterated that their priority was a special investigation. Schiff cautioned that hasty talk of impeachment would distract from the need for a bipartisan probe — and mire the investigation in partisanship. “It cannot be perceived as an effort to nullify the election by other means,” he said. 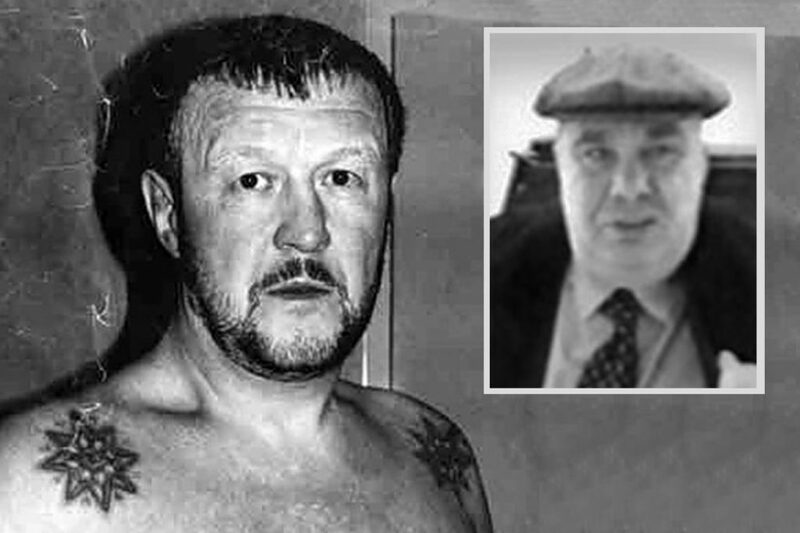 Karoun Demirjian, Carol Leonnig, Ed O’Keefe, Amber Phillips, Kelsey Snell and David Weigel contributed to this story. 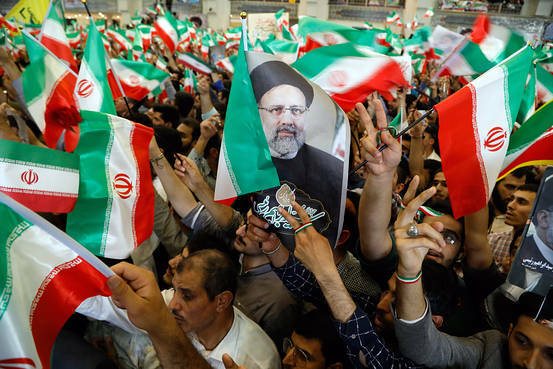 BEIRUT (Reuters) – President Hassan Rouhani on Wednesday urged Iran’s powerful Revolutionary Guards and the Basij militia under its control not to meddle in Friday’s presidential election, in a rare warning that underscored rising political tensions. 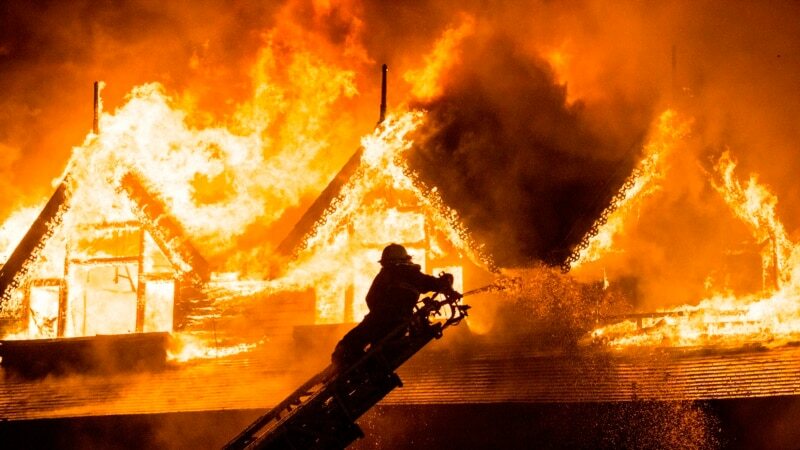 WASHINGTON (AP) — U.S. household debt reached a record high in the first three months of this year, topping the previous peak reached in 2008, when the financial crisis plunged the economy into a deep recession…. 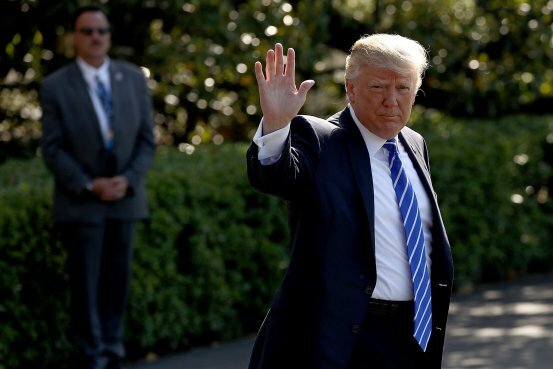 WASHINGTON (AP) — The Trump administration said Wednesday it will continue granting nuclear sanctions relief to Iran, keeping the Obama-era nuclear deal intact for now. But the U.S. also announced new unrelated sanctions in a bid to show it wasn&apos;t letting Tehran off the hook…. A statement on Iran came two days before Iranian elections, and just ahead of Mr. Trumps first overseas trip as president. 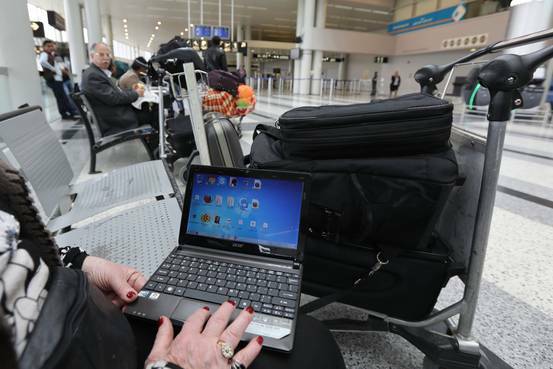 The U.S. and the EU agreed to continue discussions about Washingtons proposal to expand a ban on passengers carrying laptops in the cabin of planes amid strong opposition from the airline industry. The Trump administration plans to announce on Wednesday new sanctions against Iran aimed at its ballistic missile program, according to senior U.S. officials. WASHINGTON (AP) — A warmer, wetter climate is helping push dozens of Eastern U.S. trees to the north and, surprisingly, west, a new study finds…. KANSAS CITY, Mo. (AP) — Pvt. Chelsea Manning, the Army soldier who was sentenced to 35 years in a military prison for giving classified materials to WikiLeaks, said Wednesday that she&apos;s excited about what lies ahead, just hours after she walked free after serving seven years behind bars…. 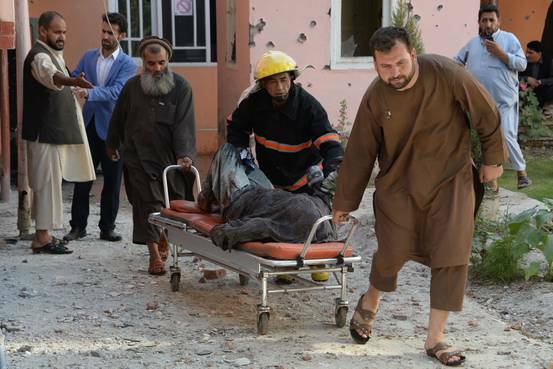 Islamic State gunmen broke into a television station in east Afghanistan, waging an hours-long battle that left at least 10 dead, including four attackers. Violence against journalists is on the rise in the country. WASHINGTON (Reuters) – The United States is concerned by violence involving protesters and Turkish security personnel in Washington on Tuesday evening, a State Department spokeswoman said on Wednesday. 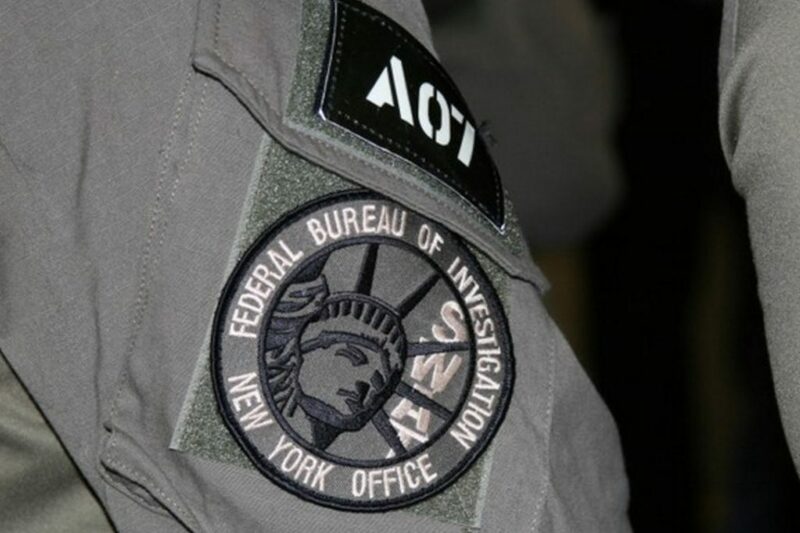 LOS ANGELES (AP) — Hundreds of federal and local law enforcement fanned out across Los Angeles in pre-dawn sweeps, serving arrest and search warrants as part of a three-year investigation into the ultra-violent street gang MS-13…. NEW YORK (Reuters) – A lawyer for Jonathan Pollard, a former U.S. Navy intelligence officer who served 30 years in prison after being convicted of spying for Israel, on Wednesday urged a U.S. appeals court to loosen his parole conditions. BERLIN (Reuters) – German Chancellor Angela Merkel met leaders of the three million-strong community of Germans with ties to Russia on Wednesday, amid concerns over their susceptibility to “fake news” items in the run-up to a national election in September.